This is a pro topic. Assumed that you understand the basics of myopia and natural myopia control. As you probably know, I’m a real-world-scenario, no-nonsense type of guy. I’m not interested in what’s possible, if we had an infinite amount of time, infinite resources, and a free range unicorn dairy farm. Removing reality as a constraint, it’s easy to come up with solutions for just about anything. But that’s the dream that self help guide millions are made of. You’re not going to quit your job and go live in the meadows of Greece, to fix your cholesterol problems. 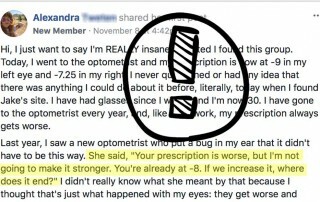 You’re also not quitting your high paying office job to fix your eyesight. It’s all about the cost of the improvement you are looking to make, that determines the likelihood of success. Think of a Rubik’s cube. It’s easy to move the green square anywhere you want, if you don’t need to worry about what happens on the other sides of the cube. The other sides of the cube, are part of your life as well. 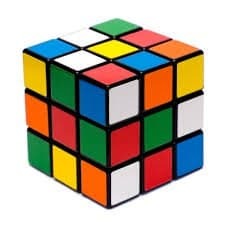 So whenever we talk about reducing myopia, about improving your eyesight, I look at what you need like a Rubik’s cube. 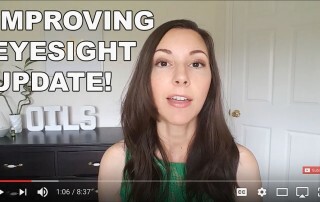 How can I help you get better eyesight, without making you change significant other aspects of your life? Of course if you had excess time and motivation, you could do hours of eyesight exercises every day, forever, and maybe see improving vision. But that’s not realistic. I’m teaching you my way of vision improvement because that’s how I accomplished a five diopter reversal for myself. Yea Jake, you say. What’s your point already, about going outdoors. The point is, you know that the cause of pseudo myopia is close-up ciliary muscle strain. You know that the entire root of the problem is staring at screens, all day every day. 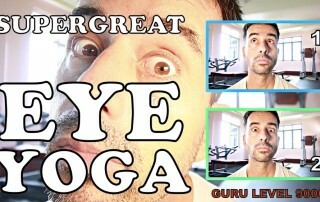 I tell you that you need to reduce ciliary strain, eliminate ciliary spasm, before you can start to look at positive stimulus and truly improving your eyesight. But I’m not telling you to quit your job, or to delete your Youtube app. In fact, throughout the site, and in BackTo20/20, I don’t ask you to take anything away from your current lifestyle. Instead I suggest that you add beneficial habits and routines, and make small tweaks to exiting habits. If you’ve been in my program for a while, or if you’ve been reading this site for a while, take a step back and consider the notable brilliance of this approach (humble, yes always). You need small changes in diopters and not wear full minus for close-up. You want to understand what diopters mean and how to quantify eye strain. 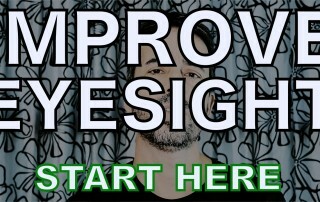 You want to be able to quantify improvement in your eyesight. 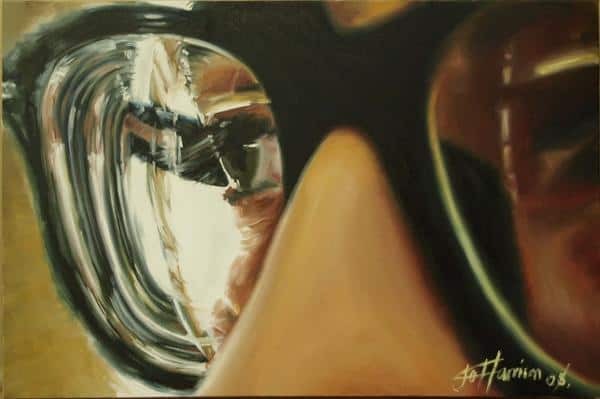 You want to take productive, vision improving breaks from close-up. Focus, seeing clearly, is something you can control. And various other bits and pieces that you likely already know and practice. Notice how nothing in that list requires any serious lifestyle changes or removing things you do and need, every day. But let’s finally get to the topic of going outside. The single most beneficial thing to your eyesight, the one thing you should do to improve your vision, is go outside, and … pull focus (if you don’t know what that means, check out the active focus link list for a quick primer). I blow through 3 hours of close-up time several times a day (on some days). I’ve done it more than I do these days. Still, I have 20/20 uncorrected vision (instead of the -5D high myopia I started with). Some of our students have eight, ten, and more hours of close-up, almost every day. And still they are reporting steady improvements in their eyesight. I suggest that you look at cutting back close-up when there are other alternatives (such as finding hobbies besides gaming, for your spare time). You can self-assess the benefits of such change, by measuring your centimeter distance, so that’s up to you. But going outside, and pulling focus, is the stimulus that improves your vision. Granted, you have to get rid of ciliary spasm, that’s a must. You can self-assess that one easily, as well. Pick a sign outside you can just barely read, before starting close-up time. When you take a break, go check the sign. Clarity the same? Great, no ciliary spasm. Way blurrier? You need to get outside and get rid of that focusing muscle lock-up before getting back to the screen. That’s no big deal and with a few weeks of checking and working on that little habit, it’ll be second nature in no-time. So if you know that you have little or no ciliary muscle spasm, then nothing is in the way for positive stimulus to effectively improve your vision. And that’s the outdoor time. Bear in mind that multi diopter myopia means axial elongation of the eyeball (in most cases). The eye elongates because the stimulus (hyperopic defocus) tells it to, but that’s not the shape the eye wants to be in. Tension in the attachment of your retina due to elongated eyeball is what causes lattice degeneration and retinal detachment, and axial elongation also plays a notable role in glaucoma and other vision health problems. The biology knows the elongated eyeball is wrong, and wants to reverse that axial elongation. All you need to do is to give the eye permission to do so, by providing the stimulus that says ‘yes shorter is better’. And that is … you know it. Going outside, and pulling focus. Just going outside alone isn’t going to do it (sorry, overblown outdoor myopia study quoting pseudo-journalists!). Axial change of the eyeball is all about stimulus, and the focus work is that stimulus. It’s the incredibly simple, entirely un-patentable, un-product-packaging-able, un-license-required-medical-advice-able, truth. Go outside, pull focus. The stimulus only works if you’re not having a locked focusing muscle preventing it from doing its job. That as we just discussed, the prerequisite. 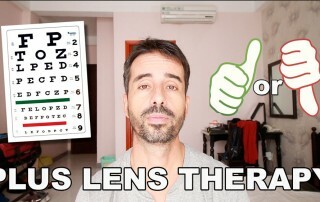 If you need 10 hours of close-up, but you take breaks at 3 hours or less and get outside, if you make sure there’s no ciliary spasm carried around all day, if you challenge yourself for distance focus, consistently, every day, if you keep a log of centimeters and distance vision improvement, your eyes will go back to the shape that they want to be in. It’s as simple as that. All that said, try not to binge on close-up. It’s way easier to find new interests and build outdoor habits if you address at least a little bit of Internet addictions, while you’re at it. That’s it. I tell you how it is, the rest is up to you.